We held the QUILT OLYMPICS! There were five "sports" and whichever team completed the sport heats the fastest won! First up! Toss a rolled fat quarter into the bin! Then! Thread a needle the fastest! Then rip out a seam! Do it neatly! Unspool a spool of thread the quickest! Finally, dig through a pile of scraps to find a particular piece of fabric! And the winners! 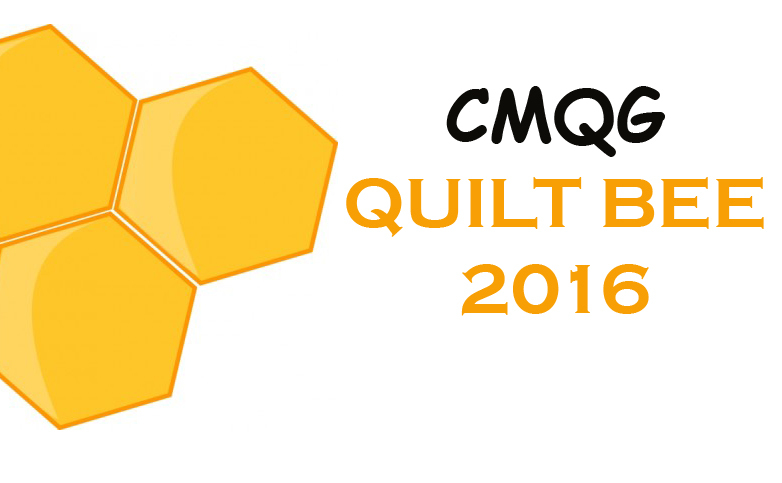 They were crowned the QUILT OLYMPICS CHAMPIONS with beautiful gold awards. We asked Guild members to design a new version of our logo, using new colors. 16 designs were submitted and members voted at the meeting for their favorite. We will be digitizing the logo so that we can use it to print stickers, badges, banners, etc. etc. Runner up was this color scheme from Holly. The winner! This color scheme from Carol! 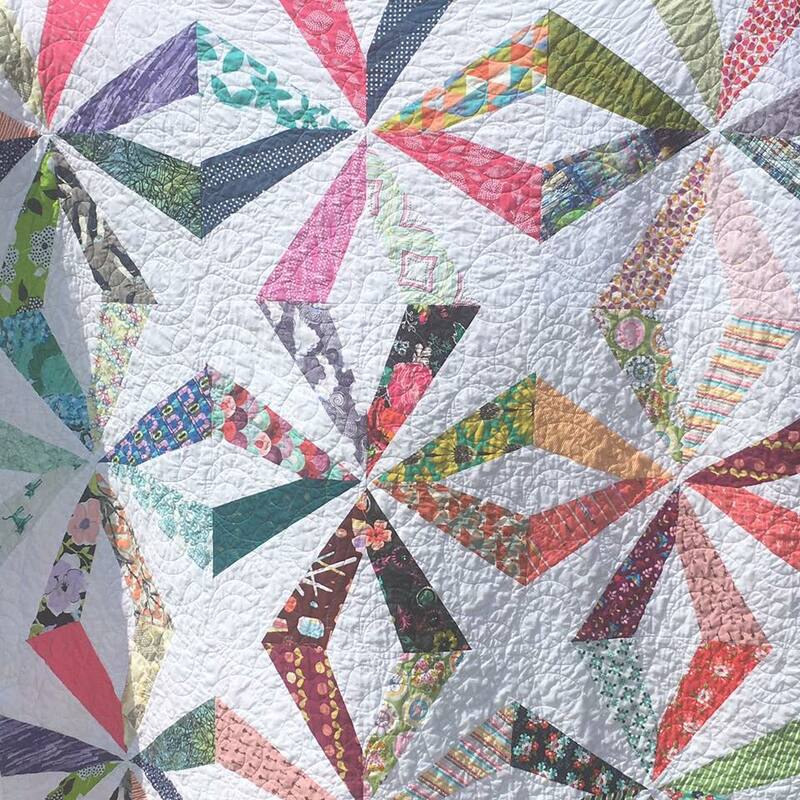 Wendy finished this quilt - blocks were made during 2015's Round Robin. The pattern is Crazy Star by Rashida Coleman Hale. 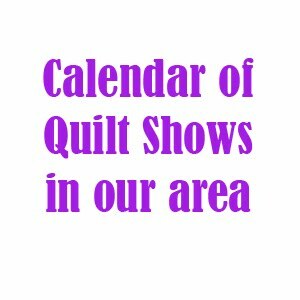 Janine made this bigger version of the same quilt! Christine showed her beautiful Quilt of Valor quilt - Holly did the top quilting. Holly finished the top quilting on this charity quilt. Kathy showed this baby quilt made with various square shapes and she used double gauze on the back. Kathy also showed this HST quilt. Kathy's grand-daughter Cecelia showed this quilt - she made it all herself (including the top quilting) and it won third place in the Butler County Fair. Dorothy showed her finished 57 Quilt which she plans to submit to Quilt Con.